Keep your sales team organised, see which prospects are close to converting and which need more attention in order to bring them over the line with InTouchCRM's leads and sales management. Keep track of your leads. Leads and sales management is easy with InTouchCRM’s leads and sales pipeline. 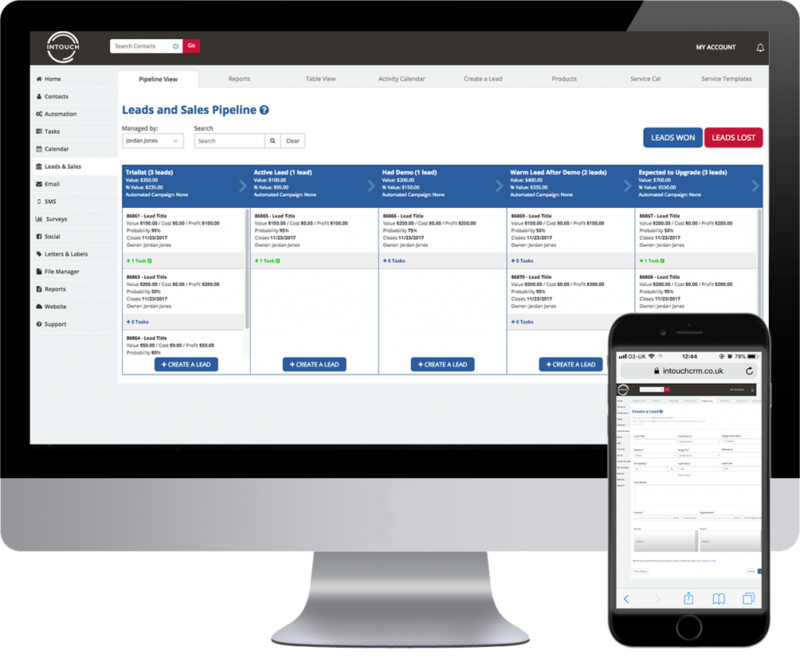 See where your leads are in your custom pipeline and what needs to be done to move them through your sales process and convert them into a customer. Know the value of your leads. Calculate the exact values of your leads by linking a product to them via InTouchCRM’s leads and sales pipeline. Alternatively, enter your prospects’ values manually. Assign leads to the right team members. Assign your leads to particular members of the team to avoid confusion and ensure that every lead is being pursued by the right person.